The weirdness and long shadows of the World of Darkness don't go unnoticed. For every vampire attack, werewolf rampage, sorcerous outburst, or other strange event, someone at the police station is going to get a call about it. Here, then, is how the law deals with the mysterious and supernatural, from investigation through prosecution. 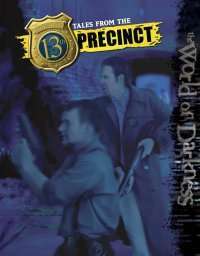 Usable with any World of Darkness game, this setting book includes a complete plug-and-play police department, and can serve as a primer on how the American legal system works in addition to functioning as a setting itself. This title was added to our catalog on July 12, 2006.